Purchased from the original owner 12/01 with only 3400 miles after he ordered his 360 Spider, this “special order” 360 is still as fresh as when delivered new. The interior is a stunning combination of colors being all leather including the headliner. Both seats are Daytona trimmed with 6-way power. 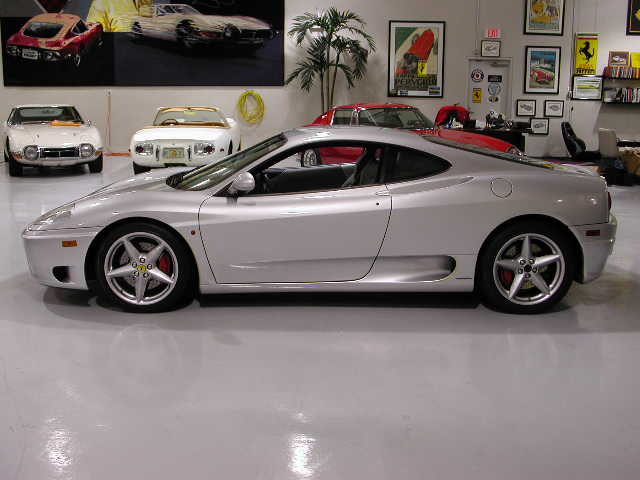 Challenge rear grille, red Ferrari calipers, Tubi exhaust & 6-disc changer add to the option list of this Modena. Complete books & records accompany this very special Modena. The 30,000 mile major timing belt service was performed by I.F.S. of New England. This has been my personal driver since 01. 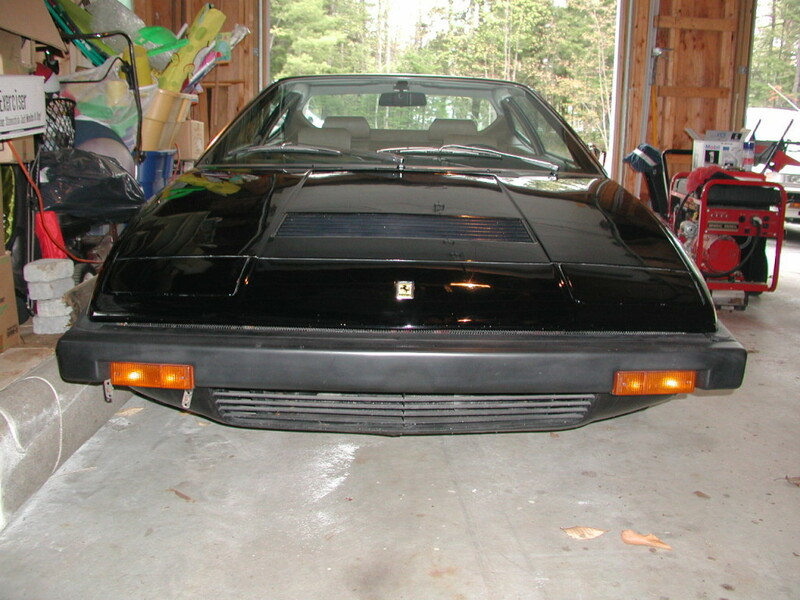 Only 2 registered owners from new, this “Dino” is a great find. 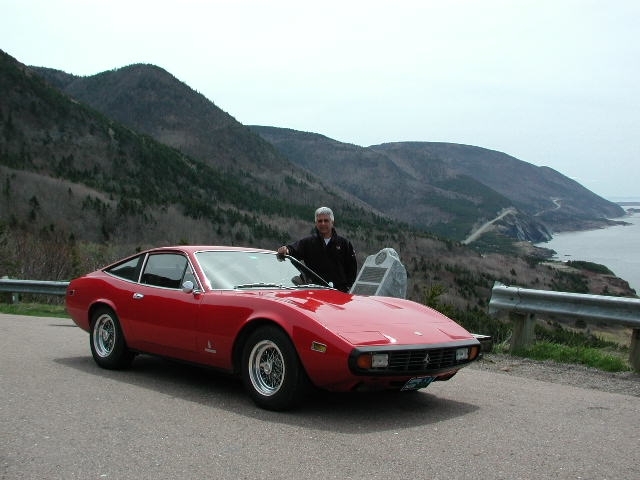 Often referred to as the “Baby Boxer” the 1975 GT4 is the fastest & best handling of the whole 308 series. I purchased this particular Dino from the second owner in the mid 80’s & sold it to my best friend who has babied & loved her ever since. One of the most unusual facts about this car is that it still retains about 85% of the original factory paint & is in outstanding condition. The interior is also completely original & is no worse for wear. Recent servicing includes new timing belts, clutch assembly(the original pressure plate just got tired), carb rebuilds, brakes & Goodyear Eagle 215-60 x 14 V-rated tires. Also included, as shown in the photos, are the complete original tool kit & jack roll. Everything on this GT4 works as new; power windows, air conditioning, power antenna with original Blaupunkt AM/FM stereo, all controls & gauges including the clock. 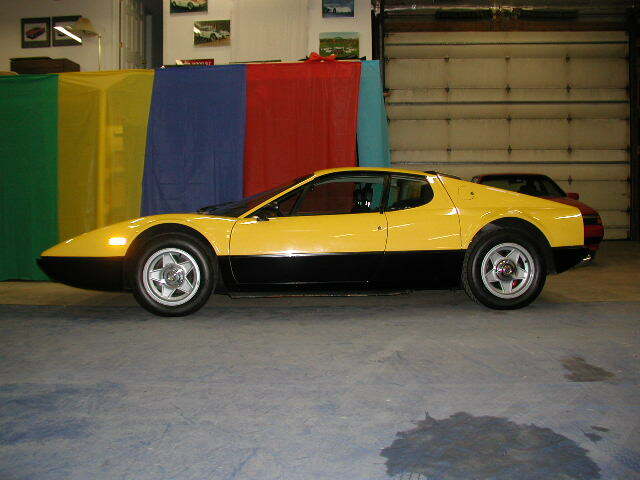 If you want one of the nicest, unmolested, original 308 GT4’s available, LOOK NO FURTHER!! 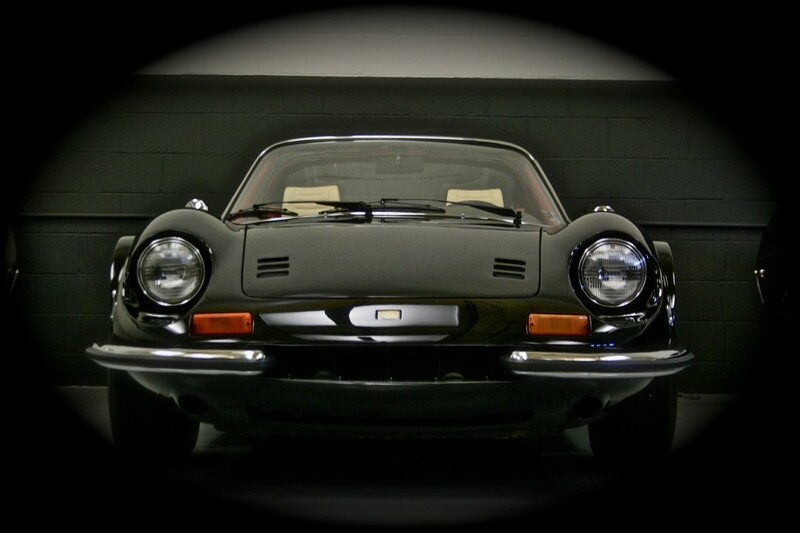 Ferrari Dino, a tribute to a son & one of the most sensual designs ever created by the master! This very special, low mileage example is as nice as they come with “chairs & flares”, Campagnolo wheels, power windows, air conditioning as well as the original tool & jack kit & leather pouch with manuals. This Dino was shipped to Italy in the late 1980’s for complete refurbishing by the original Ferrari craftsmen that worked for the factory. All mechanicals were performed by Saro, the body & paint(including the addition of “flares”)was done by Bacchelli & the interior, designed by Nastasi, was done by Lupi. Our GTS was completely serviced less than 2,000 miles ago by RPM in Vergenes, Vt. The orignal tires were replaced at that time with contemporary V- rated Sumitomos & the ever problematic Dinoplex ignition was replaced with the extremely reliable MSD unit. 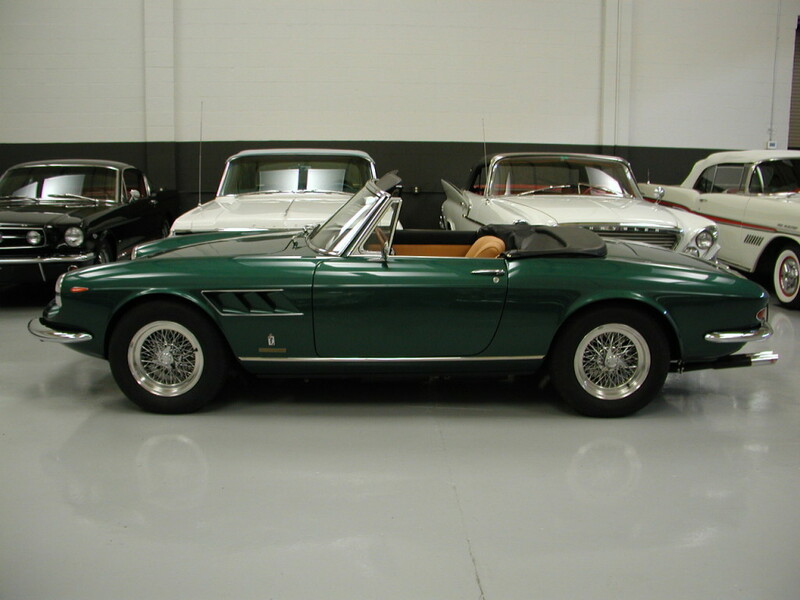 This is a “drive it anywhere” Dino that shows as a concours winner. Prices continue to rise on the very rare “chairs & flares” Dinos with several recent sales having topped the $200K mark. “Black is beautiful” & the price is right…DON’T WAIT! 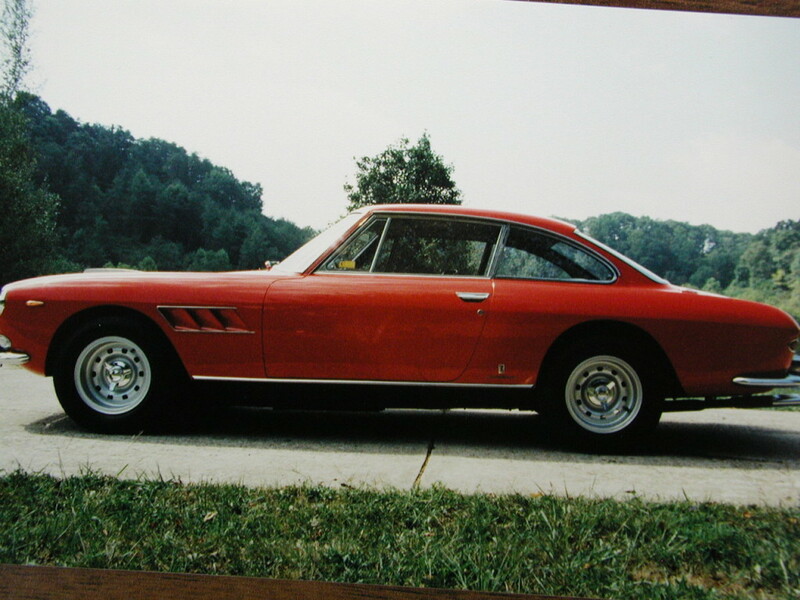 One of the “corner stones” of our collection, this exquisite 330 GTS is one of only 100 330GTS’ produced for the world. Finished in Pina Verde with tan Connolly hides, RPM of Vergennes Vermont performed a sympathetic restoration of this wonderful example over a 2 year period. The car is equipped air conditioning & power windows & retains it’s complete original tool kit. The Borrani Wire Wheels are in near perfect condition as well as the original 3 eared knock offs. This Ferrari is a pure pleasure to drive as it is comfortable, docile, very responsive & makes that incredible Ferrari V-12 sound!!!! The Ferrari Dino is arguably one of he most breathtaking sports cars to ever come out Enzo’s masterpiece factory! A fitting tribute from a father to his son. 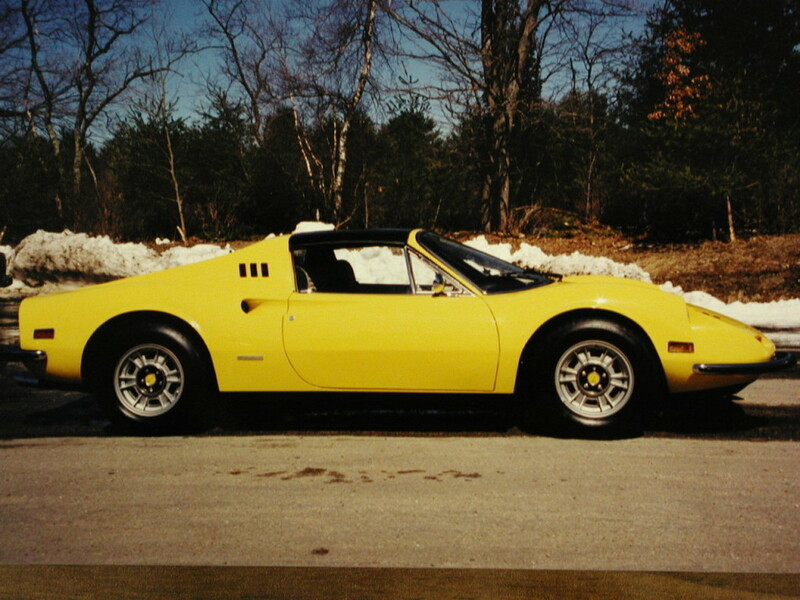 It is also fitting that this particular Dino was acquired by Joe Nastasi of Nastasi Racing fame & loved so much by Joe that he shipped the car back to Italy in the 90’s so the original Ferrari masters, Saro, Baccelli & Lupi could restore this work of art to the condition & design you see now. 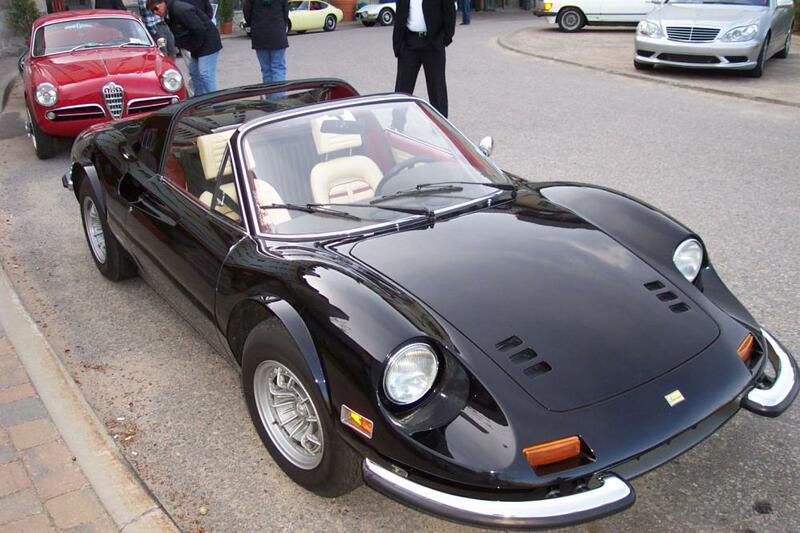 The exterior was finished in classic Nero with the interior designed by Nastasi himself & stitched up by Lupi in Crema Conolly hides with Bordeaux stitching & Daytona inserts. The car is as tight as it was the day it rolled through the gates of Maranello & performs flawlessly. I was so taken by this Dino that I ordered my 458 Italia Spider in the same Livery & love them both dearly!!! 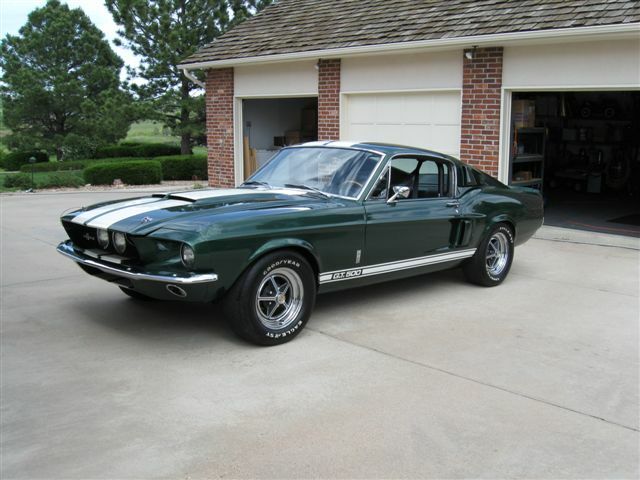 1967 Shelby GT500, original factory engine-428 Police Interceptor w/original dual 4 barrel Holly carbs, manifolds, ignition & exhaust. Original top loader 4 speed transmission & limited slip differential. Two owner car having spent most of it’s life in Colorado. Original sheet metal, floors & trunk. No rust or accident repairs ever. Under carriage still has the original factory “red oxide primer” in place. Interior is completely unrestored original & in incredible condition with no rips, tears or repairs. Well documented car with original factory invoice, Marti Report & documented in the Shelby Registry. Featured in several automotive publications & achieved 4 major SAAC awards. This is a strong #2 condition car that can be driven, shown, raced or rallied without reservation.